I’m pleased to share an interview today with Amelia Legend, an author of Adult and Young Adult fiction. JANICE: Amelia, thanks for taking the time for this interview. How long have you been writing and how did you come to it? AMELIA: I first started creative writing as a teenager. I originally only wrote poetry as a way of processing my thoughts and feelings. It wasn’t until I was 25 that I sat down and wrote my first book. I suppose, in a way, I was always a writer; I just hadn’t found my story yet. AMELIA: My daughter. It wasn’t until I had my first child that I was able to sit down and write my first manuscript. Considering how exhausting it is when you first become a parent, how much you struggle with how to handle this enormous change in your life, and time management normally writing would be the last thing a mother would spend her free time doing! Yet somehow, having my daughter gave me a voice to write my fears and my struggles down in a work of fiction in a way I hadn’t been able to before. I owe it all to Lily. JANICE: Very sweet. What’s your preferred genre? AMELIA: Young Adult or Adult fiction will most likely be my foundational genre, but I do hope to try a little mystery or fantasy at some point! JANICE: Why do you write? AMELIA: I write because I’m a writer. Some people are born as teachers, as pastors, as farmers, maybe even born to be stay-at-home mothers. Some people are born with an uncontrollable need to create, and I am undoubtedly one of those people who cannot go through life without writing or reading something! It’s simply who God made me to be. JANICE: How and where do you write? Are you a plotter or a pantser? AMELIA: I write in my office at home. I have to be alone and in a quiet space where I can experience the story without distractions (when my daughter is napping or asleep for the night). When I see a story form I always see images and characters in snapshots. I have to create the points between but I feel as if the story is already there, I just have to find it. So no, I’m not a plotter because the story evolves as the characters grow; nevertheless, I do know what the outcome of the book will be before I start the manuscript. JANICE: Where do you get your ideas? What inspires you? JANICE: Ah, yes! How do you research and how do you know you can trust your sources? AMELIA: Every book is different, therefore your research will reflect that need. I would suggest checking credentials and references if you need in depth research to support your story line. AMELIA: I love the emotional evolution of a character. How a character grows and changes throughout the story. Sometimes the story changes and it surprises the writer as much as the reader. I love that about writing! Otherwise I really really hate social media promotion! I’m not great at the promotional aspects of writing! JANICE: You’re definitely not alone there! What do you find are some of the best methods of promoting your work? AMELIA: Book reviews are essential to a writer’s legitimacy in the writing world. Having another author or a professional book review company is crucial! Having your readers write reviews is even more important to the growth and promotion of any book. JANICE: What are your favourite / most effective social media? AMELIA: I’m really only on Facebook and my personal blog at the moment, but I have definitely been considering broadening my social media scope to Twitter, Instagram and other forums because of their notable effectiveness. JANICE: You are a wife, mom, student, as well as an author. How do you balance professional time with personal time? AMELIA: Time management is a constant struggle for every writer; all you can do is set goals and work as hard as you can, when you can. JANICE: What are you currently reading? Do you prefer digital or print? AMELIA: I’m in the middle of King’s Crown by Victoria Avenyard. It’s a wonderful series and I’ve enjoyed every moment of it! I like both digital and print. It comes down to which is more convenient at the time, if I’m travelling, or whether or not I have been able to go to the bookstore or library. Sometimes it’s easier to get a new release on my Kindle because I live in the countryside. JANICE: Yes, it’s so instant and convenient. Let’s switch gears a bit here. What are some of your favorite things? What makes you unique? AMELIA: Well, I’m not really sure I can be objective about what makes me unique, I truly believe we are all unique in our own ways and the best way of finding out how is by getting to know someone. I suppose what makes me an “odd duck” is my adaptability. I accept change better than most and it has allowed me to have freedom in ways few people ever experience. Before moving to Canada I lived in California, before California I lived in Alaska, before that I lived and worked in Haiti, and so on and so forth. Some of the best decisions I’ve made, and definitely some of my favourite things, are traveling and trying new things! I like the peace and quiet I’ve found in Saskatchewan but I will always enjoy change and travel. JANICE: Very interesting. What keeps you going in your writing career? AMELIA: Every writer has their bad days. Recently I have felt that I haven’t had as much time as I’d like to work on my projects and I feel it’s normal to be discouraged, but what it comes down to is never giving up. Not on your love of writing, not on the gift God has given you, and not on yourself. A writer has to continue to believe that what makes them writers is not recognition, but passion. 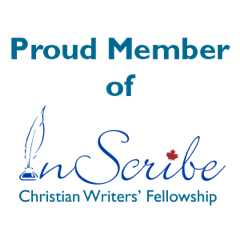 JANICE: How is your faith reflected in your writing? AMELIA: This one is a difficult question because I don’t write within the “Christian” genre; therefore, some might say my books lack an obvious faith. What I do know is that every time I sit down to write I pray that God helps me write TRUTH. Not a great Christian story with a happy ending or a gospel theology, but a story that reflects the struggle between the good and evil we experience in life. I write stories that show the ugly reality of what that looks like and feels like to experience as a Christian or as a non- believer struggling to see God. God is always in the stories I write simply because He is in our everyday lives, but not always in an obvious ways because that’s the truth of life: Sometimes it isn’t obvious when He is present, but that doesn’t mean He’s not. Sometimes He can feel far and sometimes He can sound like silence, but that doesn’t mean we are alone. JANICE: I think you articulated that very well. It’s not an easy question. What are some things you learned from your own writing? AMELIA: I’m trying to learn patience! Creativity takes time, consistency, and a whole lot of patience to write something worthwhile. I feel that is what I’m learning the most right now from my writing. JANICE: What is your ultimate writing goal? AMELIA: My ultimate writing goal is to find the right publisher. As an indie writer it is difficult to navigate the world of writing. With the right team, guidance, and goals, I hope to become the best writer I can possibly be. It’s a struggle working in this industry “on your own” and the goal is to find the right people to work with you! JANICE: Advice for beginning writer? AMELIA: FINISH YOUR MANUSCRIPT! The best advice is to STOP making excuses as to why you CAN’T or WONT finish your book. If you work at it everyday (or most days) and it takes five years, that’s okay! If you constantly procrastinate you’re only cheating yourself out of your own opportunities and that is NOT okay! So finish your manuscript. Find the right editor. Re-write, re-write, and re-write again. Just don’t make excuses because we always make time in life for what’s important, so stop watching Netflix, stop holding yourself back, stop making excuses, and write. 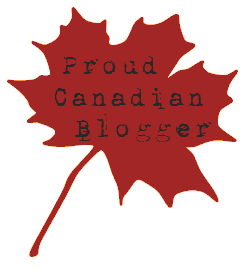 JANICE: Thanks again for your time and for sharing yourself with me and my readers. If you want to know more about Amelia Legend, check out her blogsite or her Facebook page.